Our rum is an icon for people coming of age who abandon the traditional path to adulthood. Theirs is a fearless path, one which they embrace with a passion to seek new things, explore new places, and exercise more choices. They are the new rebel but with a cause to find their own way in life and on their own terms. Denizen is the drink of choice for this bold new generation. With its bold yet perfectly smooth flavor, Denizen Aged White Rum offers a brand new twist to the traditional rum cocktail. Fun bright flavors and green sugar cane aromas burst alive on the nose with some old school rum funkiness on the palate. A light rum with the qualities of a fine aged spirit, Denizen Aged White Rum is a versatile rum that is best served in bright bold mixed drinks or long in a refreshing carbonated lemonade drink adorned with fresh mint. Denizen Aged White Rum is a rebellious blend of three different styles of rum from Trinidad and Jamaica meticulously selected by master blenders in Amsterdam who have been handcrafting small-batch Caribbean style rums dating back to the early 1700s, when The Netherlands colonized much of the Caribbean. The rums included in the final blend primarily include charcoal filtered aged rum from the famed Angostura distillery in Trinidad that has been distilled in continuous column stills and aged up to 5 years in small American oak barrels to impart a rich and refined flavor. A small component of fresh unaged Trinidadian rum has been combined with trace amounts of an intermediate blend of Jamaican pot still rums consisting of 15 different high ester rums, providing a firm backbone where the filtered aged rum can lay upon. The different production methodologies and cultures that have influenced the craftsmanship of Denizen Aged White Rum give the product much more depth and complexity compared to common mixing rums that are thinner with more neutral flavors. The result is a well-balanced, three dimensional, crystal clear rum that is sure to make cocktails shine. Intensely aromatic and unapologetically funky, Denizen Merchant’s Reserve is a deep amber colored molasses rum with a refined taste profile revealing bright fruity caramel flavors balanced by earthy notes that lead to a long smooth spicy finish. Centuries ago, when the merchant’s of Amsterdam sailed home from their long arduous journey through the Caribbean trade routes, they discovered that barrels of rum on their ships took on a richer flavor and aroma from what they had tasted at the onset. These Dutch merchants began to experiment with blending these aged Caribbean rums and the most special blends were reserved for the finest batches they sold throughout Europe. This tradition of blending aged rum for complexity eventually found its way to the eponymous Tiki bars of mid-20th century America where proprietary rum blends were secrets taken to the grave. Paying homage to the artisan rums crafted by these pioneering merchants, Denizen Merchant’s Reserve is a superior blend of 8 year old plummer style Jamaican pot still rum and a rare component of Rhum Grande Arome from the Le Galion distillery on the historic French Island of Martinique. According to respected rum cocktail historians, these two styles of rum were blended together by Trader Vic Bergeron in the 3rd iteration of his 1944 Mai Tai recipe to replicate the flavor of the famed J Wray and Nephew 17 and 15 Year Jamaican rums after they were no longer available. Le Galion is the lone distillery in Martinique that has continued producing the unique molasses based Rhum Grande Arome used in our blend, giving Denizen Merchant’s Reserve the distinction of being the first historically accurate Mai Tai rum to be sold commercially. Introducing Denizen, an award-winning line of blended Caribbean rums crafted for the new age of rum mixology. 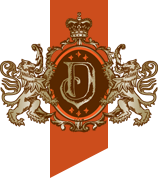 Our products include Denizen Aged White Rum and Denizen Merchant's Reserve. Denizen. Free the flavor.